It is very easy to think of Egyptology, i.e. the scholarly study of Ancient Egypt, as a relatively modern study, but this is far from being the case. Egyptology starts with the Ancient Egyptians, the best-known example being Khaemwese, a son of Ramesses II. During the Classical period many writers, Greek and Roman, wrote copiously about Pharaonic history and civilisation, some with considerable expertise in the subject, others not. These authors include Herodotus, Diodorus, and Plutarch to name only the best-known. A particularly interesting case is Horapollo who wrote at the time when Pharaonic culture was almost dead. This lecture will try to explore all aspects of ancient Egyptology to determine what these writers thought they were doing and how well, or badly, they did it. 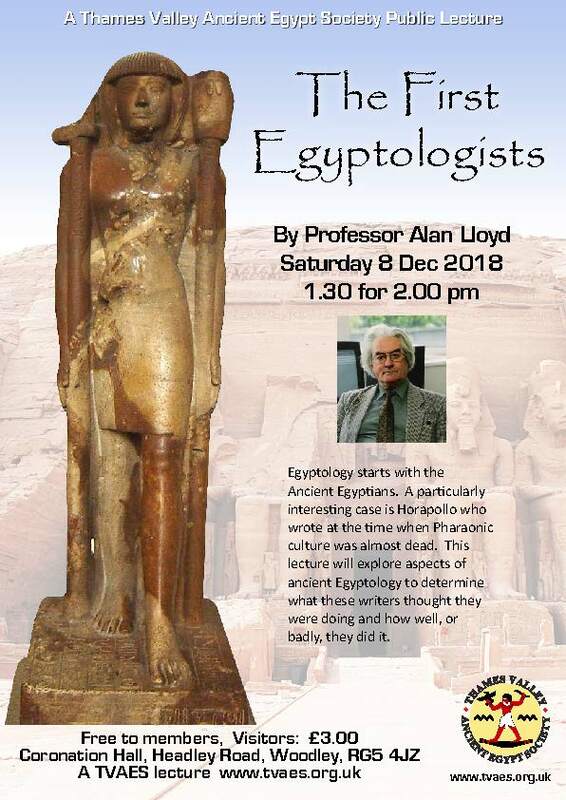 Alan Lloyd is President of the Thames Valley Ancient Egypt Society and the Egypt Exploration Society. 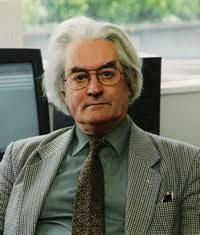 He retired in 2006 from his post as Professor of Classics and Ancient History at the University of Swansea. He participated in EES excavations at North Saqqara in 1972–3 and with the Society's Saqqara Epigraphic Survey which began work in 1976 on a series of Old Kingdom tombs in the Teti Pyramid Cemetery. Professor Lloyd is an authority on the writings of the historian Herodotus and has an extensive publication record. He has served as Editor of the EES Excavation Memoirs and edited the Journal of Egyptian Archaeology from 1979 to 1985. Recent publications include A Companion to Ancient Egypt, 2 vols (editor and part author) 2010, Ancient Egypt: State and Society, 2014, and a chapter on the Ptolemaic period in the Paul Getty exhibition catalogue entitled Beyond the Nile: Egypt and the Classical World, 2018.